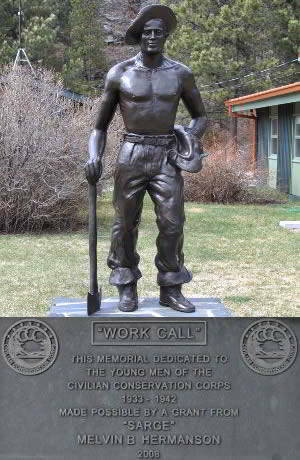 Company 791 was organized May 22, 1933, as the third CCC company in South Dakota. Enrollees were from the eastern half of the state and local woodsmen (LEMs) from the Rapid City vicinity. It occupied Camp Horse Creek immediately. For 2 weeks after organization Company 791 was kept in quarters by a downpour of rain. Due to the extremely impassable condition of the roads, supplies were brought in by horse and wagon. The first work was the building of a permanent mess hall and hospital while the men remained under tents. 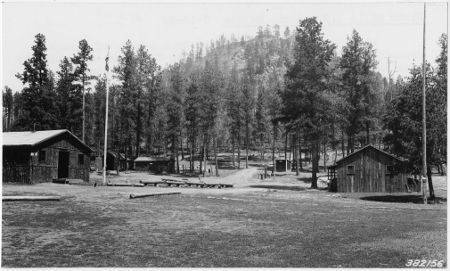 About September 10, 1933, orders were received that Horse Creek Camp would be a winter camp. Construction started immediately on permanent quarters. The spirit at all times was good and the members threw themselves into the completion of construction of quarters, bathhouse, recreation hall, etc. The "finishing touches" of construction were made in mid-November. 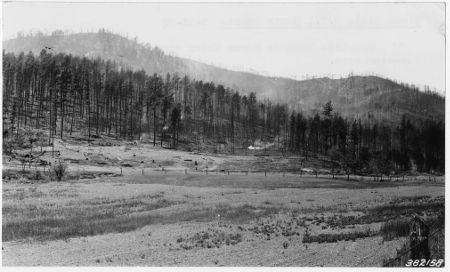 Camp F-2 was located on Horse Creek west of Highway 385 about 4.5 miles south of Lake Pactola and 1/2 mile north of the former boundary between the Black Hills National Forest and Harney National Forest (1934). 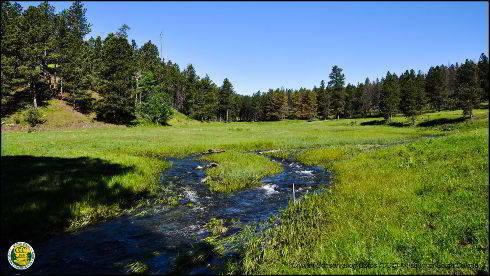 Staff at the Black Hills National Forest plotted the location near the center of section 32, T 1N, R 5E. The site was completely surrounded by a rim of mountains somewhat like the stratosphere bowl. It was designated as a drought relief camp in 1934 and given the camp number of DF-2 for that year. 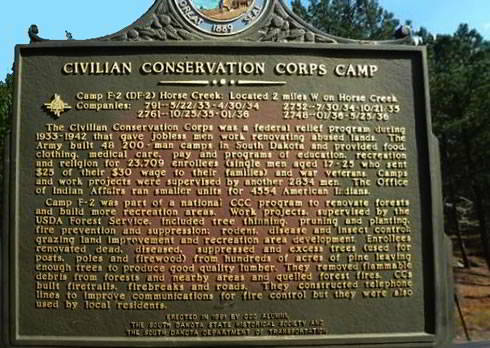 Camp F-2 was part of a national CCC program to renovate forests and build more recreation areas. Work projects supervised by the USDA Forest Service included tree thinning, pruning and planting, fire prevention and suppression, rodent, disease and insect control, grazing land improvement and recreation area development. Enrollees removed dead, diseased, suppressed and excess trees (used for posts, poles and firewood) from hundreds of acres of pine leaving enough trees to produce good quality lumber. They removed flammable debris from forests and nearby areas and quelled forest fires. CCs built fire trails, firebreaks and roads. They constructed telephone lines to improve communications for fire control but they were also used by local residents. 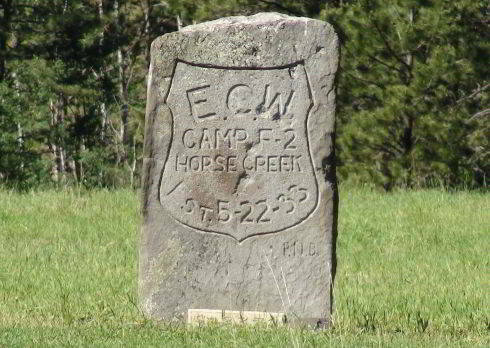 NOTE: The Horse Creek Camp Civilian Conservation Corps (CCC) roadside marker on Highway 385 was missing on June 28, 2015.